Natural and legal rights are two types of rights. Natural rights are those that are not dependent on the laws or customs of any particular culture or government, and so are universal and inalienable (they cannot be repealed by human laws, though one can forfeit their enforcement through one's actions, such as by violating someone else's rights.) Legal rights are those bestowed onto a person by a given legal system (they can be modified, repealed, and restrained by human laws). The concept of natural law is related to the concept of natural rights. Natural law first appeared in ancient Greek philosophy, and was referred to by Roman philosopher Cicero. It was subsequently alluded to in the Bible, and then developed in the Middle Ages by Catholic philosophers such as Albert the Great and his pupil Thomas Aquinas. During the Age of Enlightenment, the concept of natural laws was used to challenge the divine right of kings, and became an alternative justification for the establishment of a social contract, positive law, and government – and thus legal rights – in the form of classical republicanism. Conversely, the concept of natural rights is used by others to challenge the legitimacy of all such establishments. The idea of human rights is also closely related to that of natural rights: some acknowledge no difference between the two, regarding them as synonymous, while others choose to keep the terms separate to eliminate association with some features traditionally associated with natural rights. Natural rights, in particular, are considered beyond the authority of any government or international body to dismiss. The 1948 United Nations Universal Declaration of Human Rights is an important legal instrument enshrining one conception of natural rights into international soft law. Natural rights were traditionally viewed as exclusively negative rights, whereas human rights also comprise positive rights. Even on a natural rights conception of human rights, the two terms may not be synonymous. The proposition that animals have natural rights is one that gained the interest of philosophers and legal scholars in the 20th century and into the 21st. The existence of natural rights has been asserted by different individuals on different premises, such as a priori philosophical reasoning or religious principles. For example, Immanuel Kant claimed to derive natural rights through reason alone. The United States Declaration of Independence, meanwhile, is based upon the "self-evident" truth that "all men are … endowed by their Creator with certain unalienable Rights". Likewise, different philosophers and statesmen have designed different lists of what they believe to be natural rights; almost all include the right to life and liberty as the two highest priorities. H. L. A. Hart argued that if there are any rights at all, there must be the right to liberty, for all the others would depend upon this. T. H. Green argued that “if there are such things as rights at all, then, there must be a right to life and liberty, or, to put it more properly to free life.” John Locke emphasized "life, liberty and property" as primary. However, despite Locke's influential defense of the right of revolution, Thomas Jefferson substituted "pursuit of happiness" in place of "property" in the United States Declaration of Independence. Of fundamental importance to the development of the idea of natural rights was the emergence of the idea of natural human equality. As the historian A.J. Carlyle notes: "There is no change in political theory so startling in its completeness as the change from the theory of Aristotle to the later philosophical view represented by Cicero and Seneca.... We think that this cannot be better exemplified than with regard to the theory of the equality of human nature." Charles H. McIlwain likewise observes that "the idea of the equality of men is the profoundest contribution of the Stoics to political thought" and that "its greatest influence is in the changed conception of law that in part resulted from it." Cicero argues in De Legibus that "we are born for Justice, and that right is based, not upon opinions, but upon Nature." One of the first Western thinkers to develop the contemporary idea of natural rights was French theologian Jean Gerson, whose 1402 treatise De Vita Spirituali Animae is considered one of the first attempts to develop what would come to be called modern natural rights theory. 17th-century English philosopher John Locke discussed natural rights in his work, identifying them as being "life, liberty, and estate (property)", and argued that such fundamental rights could not be surrendered in the social contract. Preservation of the natural rights to life, liberty, and property was claimed as justification for the rebellion of the American colonies. As George Mason stated in his draft for the Virginia Declaration of Rights, "all men are born equally free," and hold "certain inherent natural rights, of which they cannot, by any compact, deprive or divest their posterity." Another 17th-century Englishman, John Lilburne (known as Freeborn John), who came into conflict with both the monarchy of King Charles I and the military dictatorship of Oliver Cromwell governed republic, argued for level human basic rights he called "freeborn rights" which he defined as being rights that every human being is born with, as opposed to rights bestowed by government or by human law. The distinction between alienable and unalienable rights was introduced by Francis Hutcheson. In his Inquiry into the Original of Our Ideas of Beauty and Virtue (1725), Hutcheson foreshadowed the Declaration of Independence, stating: “For wherever any Invasion is made upon unalienable Rights, there must arise either a perfect, or external Right to Resistance. . . . Unalienable Rights are essential Limitations in all Governments.” Hutcheson, however, placed clear limits on his notion of unalienable rights, declaring that “there can be no Right, or Limitation of Right, inconsistent with, or opposite to the greatest publick Good." Hutcheson elaborated on this idea of unalienable rights in his A System of Moral Philosophy (1755), based on the Reformation principle of the liberty of conscience. One could not in fact give up the capacity for private judgment (e.g., about religious questions) regardless of any external contracts or oaths to religious or secular authorities so that right is "unalienable." Hutcheson wrote: "Thus no man can really change his sentiments, judgments, and inward affections, at the pleasure of another; nor can it tend to any good to make him profess what is contrary to his heart. The right of private judgment is therefore unalienable." In discussion of social contract theory, "inalienable rights" were said to be those rights that could not be surrendered by citizens to the sovereign. Such rights were thought to be natural rights, independent of positive law. Some social contract theorists reasoned, however, that in the natural state only the strongest could benefit from their rights. Thus, people form an implicit social contract, ceding their natural rights to the authority to protect the people from abuse, and living henceforth under the legal rights of that authority. There is, at least, one right that cannot be ceded or abandoned: the right to personality...They charged the great logician [Hobbes] with a contradiction in terms. If a man could give up his personality he would cease being a moral being. … There is no pactum subjectionis, no act of submission by which man can give up the state of free agent and enslave himself. For by such an act of renunciation he would give up that very character which constitutes his nature and essence: he would lose his humanity. The concept of inalienable rights was criticized by Jeremy Bentham and Edmund Burke as groundless. Bentham and Burke, writing in 18th century Britain, claimed that rights arise from the actions of government, or evolve from tradition, and that neither of these can provide anything inalienable. (See Bentham's "Critique of the Doctrine of Inalienable, Natural Rights", and Burke's Reflections on the Revolution in France). Presaging the shift in thinking in the 19th century, Bentham famously dismissed the idea of natural rights as "nonsense on stilts". By way of contrast to the views of British nationals Burke and Bentham, the leading American revolutionary scholar James Wilson condemned Burke's view as "tyranny." The signers of the Declaration of Independence deemed it a "self-evident truth" that all men "are endowed by their Creator with certain unalienable Rights". In The Social Contract, Jean-Jacques Rousseau claims that the existence of inalienable rights is unnecessary for the existence of a constitution or a set of laws and rights. This idea of a social contract – that rights and responsibilities are derived from a consensual contract between the government and the people – is the most widely recognized alternative. One criticism of natural rights theory is that one cannot draw norms from facts. This objection is variously expressed as the is-ought problem, the naturalistic fallacy, or the appeal to nature. G.E. Moore, for example, said that ethical naturalism falls prey to the naturalistic fallacy. [citation needed] Some defenders of natural rights theory, however, counter that the term "natural" in "natural rights" is contrasted with "artificial" rather than referring to nature. John Finnis, for example, contends that natural law and natural rights are derived from self-evident principles, not from speculative principles or from facts. There is also debate as to whether all rights are either natural or legal. Fourth president of the United States James Madison, while representing Virginia in the House of Representatives, believed that there are rights, such as trial by jury, that are social rights, arising neither from natural law nor from positive law (which are the basis of natural and legal rights respectively) but from the social contract from which a government derives its authority. This would lead inevitably to a situation known as the "war of all against all", in which human beings kill, steal and enslave others in order to stay alive, and due to their natural lust for "Gain", "Safety" and "Reputation". Hobbes reasoned that this world of chaos created by unlimited rights was highly undesirable, since it would cause human life to be "solitary, poor, nasty, brutish, and short". As such, if humans wish to live peacefully they must give up most of their natural rights and create moral obligations in order to establish political and civil society. This is one of the earliest formulations of the theory of government known as the social contract. John Locke, "Life, Liberty, Estate (property)"
John Locke (1632 – 1704) was another prominent Western philosopher who conceptualized rights as natural and inalienable. Like Hobbes, Locke believed in a natural right to life, liberty, and property. It was once conventional wisdom that Locke greatly influenced the American Revolutionary War with his writings of natural rights, but this claim has been the subject of protracted dispute in recent decades. For example, the historian Ray Forrest Harvey declared that Jefferson and Locke were at "two opposite poles" in their political philosophy, as evidenced by Jefferson’s use in the Declaration of Independence of the phrase "pursuit of happiness" instead of "property." More recently, the eminent legal historian John Phillip Reid has deplored contemporary scholars’ "misplaced emphasis on John Locke," arguing that American revolutionary leaders saw Locke as a commentator on established constitutional principles. Thomas Pangle has defended Locke's influence on the Founding, claiming that historians who argue to the contrary either misrepresent the classical republican alternative to which they say the revolutionary leaders adhered, do not understand Locke, or point to someone else who was decisively influenced by Locke. This position has also been sustained by Michael Zuckert. In developing his concept of natural rights, Locke was influenced by reports of society among Native Americans, whom he regarded as natural peoples who lived in a "state of liberty" and perfect freedom, but "not a state of license". It also informed his conception of social contract. It is a perversion of terms to say that a charter gives rights. It operates by a contrary effect – that of taking rights away. Rights are inherently in all the inhabitants; but charters, by annulling those rights, in the majority, leave the right, by exclusion, in the hands of a few. … They...consequently are instruments of injustice. While at first American individualist anarchists adhered to natural rights positions, later in this era led by Benjamin Tucker, some abandoned natural rights positions and converted to Max Stirner's Egoist anarchism. Rejecting the idea of moral rights, Tucker said there were only two rights: "the right of might" and "the right of contract". [citation needed] He also said, after converting to Egoist individualism, "In times past... it was my habit to talk glibly of the right of man to land. It was a bad habit, and I long ago sloughed it off.... Man's only right to land is his might over it." In adopting Stirnerite egoism (1886), Tucker rejected natural rights which had long been considered the foundation of libertarianism. This rejection galvanized the movement into fierce debates, with the natural rights proponents accusing the egoists of destroying libertarianism itself. So bitter was the conflict that a number of natural rights proponents withdrew from the pages of Liberty in protest even though they had hitherto been among its frequent contributors. Thereafter, Liberty championed egoism although its general content did not change significantly. Several periodicals were "undoubtedly influenced by Liberty's presentation of egoism, including I published by C.L. Swartz, edited by W.E. Gordak and J.W. Lloyd (all associates of Liberty); The Ego and The Egoist, both of which were edited by Edward H. Fulton. Among the egoist papers that Tucker followed were the German Der Eigene, edited by Adolf Brand, and The Eagle and The Serpent, issued from London. The latter, the most prominent English-language egoist journal, was published from 1898 to 1900 with the subtitle 'A Journal of Egoistic Philosophy and Sociology'". 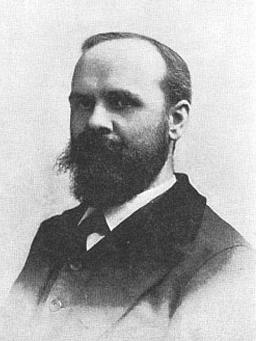 Among those American anarchists who adhered to egoism include Benjamin Tucker, John Beverley Robinson, Steven T. Byington, Hutchins Hapgood, James L. Walker, Victor Yarros and E.H. Fulton. Many documents now echo the phrase used in the United States Declaration of Independence. The preamble to the 1948 United Nations Universal Declaration of Human Rights asserts that rights are inalienable: "recognition of the inherent dignity and of the equal and inalienable rights of all members of the human family is the foundation of freedom, justice and peace in the world." Article 1, § 1 of the California Constitution recognizes inalienable rights, and articulated some (not all) of those rights as "defending life and liberty, acquiring, possessing, and protecting property, and pursuing and obtaining safety, happiness, and privacy." However, there is still much dispute over which "rights" are truly natural rights and which are not, and the concept of natural or inalienable rights is still controversial to some. Erich Fromm argued that some powers over human beings could be wielded only by God, and that if there were no God, no human beings could wield these powers. Contemporary political philosophies continuing the classical liberal tradition of natural rights include libertarianism, anarcho-capitalism and Objectivism, and include amongst their canon the works of authors such as Robert Nozick, Ludwig von Mises, Ayn Rand, and Murray Rothbard. A libertarian view of inalienable rights is laid out in Morris and Linda Tannehill's The Market for Liberty, which claims that a man has a right to ownership over his life and therefore also his property, because he has invested time (i.e. part of his life) in it and thereby made it an extension of his life. However, if he initiates force against and to the detriment of another man, he alienates himself from the right to that part of his life which is required to pay his debt: "Rights are not inalienable, but only the possessor of a right can alienate himself from that right – no one else can take a man's rights from him." Various definitions of inalienability include non-relinquishability, non-salability, and non-transferability. This concept has been recognized by libertarians as being central to the question of voluntary slavery, which Murray Rothbard dismissed as illegitimate and even self-contradictory. Stephan Kinsella argues that "viewing rights as alienable is perfectly consistent with – indeed, implied by – the libertarian non-aggression principle. Under this principle, only the initiation of force is prohibited; defensive, restitutive, or retaliatory force is not." Various philosophers have created different lists of rights they consider to be natural. Proponents of natural rights, in particular Hesselberg and Rothbard, have responded that reason can be applied to separate truly axiomatic rights from supposed rights, stating that any principle that requires itself to be disproved is an axiom. Critics have pointed to the lack of agreement between the proponents as evidence for the claim that the idea of natural rights is merely a political tool. Hugh Gibbons has proposed a descriptive argument based on human biology. His contention is that Human Beings were other-regarding as a matter of necessity, in order to avoid the costs of conflict. Over time they developed expectations that individuals would act in certain ways which were then prescribed by society (duties of care etc.) and that eventually crystallized into actionable rights. ^ See James Nickel, Human Rights, 2010. The claim that "..all human rights are negative rights.." is rejected, therefore human rights also comprise positive rights. ^ "Animal Rights", Encyclopædia Britannica, 2007; Dershowitz, Alan. Rights from Wrongs: A Secular Theory of the Origins of Rights, 2004, pp. 198–99; "Animal Rights: The Modern Animal Rights Movement", Encyclopædia Britannica, 2007. ^ "America's Founding Documents | National Archives". Archives.gov. 2016-10-12. Retrieved 2017-03-10. ^ Carlyle, A.J. (1903). A History of Medieval Political Theory in the West. 1. Edinburgh. pp. 8, 9. ^ Richard Tuck, Philosophy and Government 1572–1651 (1993), pp. 25-7. ^ Pauline Maier,American Scripture: Making the Declaration of Independence. New York: Alfred A. Knopf, 1993, p. 134. ^ a b c Price, Richard. Observations on the Nature of Civil Liberty. 1776, Part I. Reprinted in: Peach, Bernard, (Ed.) Richard Price and the Ethical Foundations of the American Revolution. Duke University Press, 1979. ^ Wilson, James. Robert Green McCloskey, ed. The Works of James Wilson. 2. Cambridge, Mass. : Harvard University Press. pp. 586–89. ^ Law As Culture and Culture As Law: Essays in Honor of John Phillip Reid Books.google.co.kr. Retrieved on 2013-07-29. ^ Pangle, Thomas L. (1988). The Spirit of Modern Republicanism: The Moral Vision of the American Founders and the Philosophy of John Locke. Chicago: University of Chicago Press. ^ Kunze, Fred. "A Biography of John Locke". American History from revolution to reconstruction and beyond. GMW – University of Groningen. Retrieved 20 July 2015. ^ John Locke, Two Treatises of Government - Of Civil Government, Bk.2, Chap 2, "On The State of Nature", §4,6,14, Chap 5, "Of Property", §26 (London : Whitmore & Fenn) 1821 pp. 189, 191, 199, 209. ^ a b c "Literature of Liberty, Autumn 1981, vol. 4, No. 3 – Online Library of Liberty". Oll.libertyfund.org. Retrieved 2017-03-10. ^ Individual Rights – Ayn Rand Lexicon. Aynrandlexicon.com. Retrieved 2013-07-29. ^ "The Ethics of Liberty | Mises Institute". Mises.org. 2005-07-20. Retrieved 2017-03-10. ^ Block, Walter (Spring 2003). "A Libertarian Theory of Inalienability" (PDF). 17 (2). Journal of Libertarian Studies: 39–85. ^ "A Crusoe Social Philosophy | Mises Institute". Mises.org. Retrieved 2017-03-10. ^ "Inalienability and Punishment: A Reply to George Smith | Mises Institute" (PDF). Mises.org. 2014-07-30. Retrieved 2017-03-10. ^ "De Sciuridae Et Homo Sapiens: The Origin Of Rights And Duties" (PDF). Bu.edu. Retrieved 2017-03-10.